Our main focus is to provide customer satisfaction through the quality of our services. We work hard to ensure your demands are met every time. Galaxy International provides aircraft solutions related to mid-to late-life aircraft. Our comprehensive aircraft solutions include sales of aircraft components, teardown and disassembly, maintenance, repair and overhaul, and more. 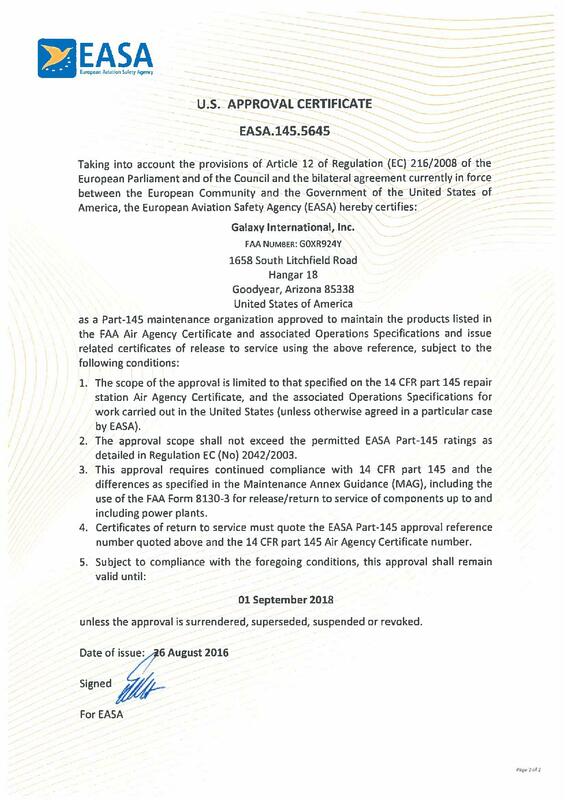 Our subsidiary, Maricopa Controls is an FAA certified and EASA approved Part 145 Repair Station. Maricopa Controls specializes in small signal manipulation components of the Honeywell TPE 331 turboprop engine. Utilizing state-of-the-art technology, Galaxy International Inc. offers water and waste systems service and components that enhance the customer experience while reducing operational costs for our customers. Galaxy International Inc.'s capabilities list has grown and we are continuing to add parts to the capabilities list. Using our capabilities list chart is as simple as typing in the part number and finding the part you need repaired, inspected, overhauled or maintained. Galaxy International, Inc. is recognized and certified throughout the United States, Europe and other areas of the globe. 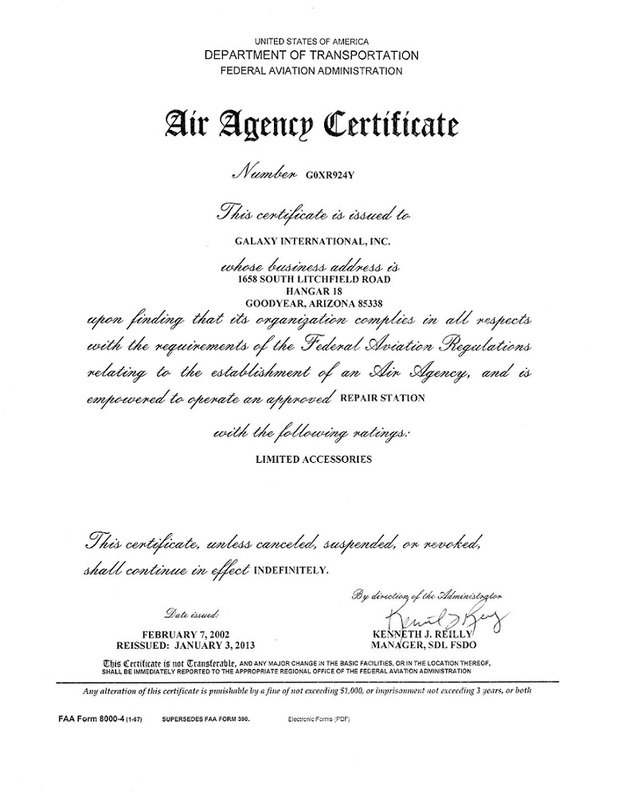 Galaxy International, Inc. is an approved repair center providing a wide range of parts capabilities services for the aerospace sector. We provide world class service through the strength of our people.